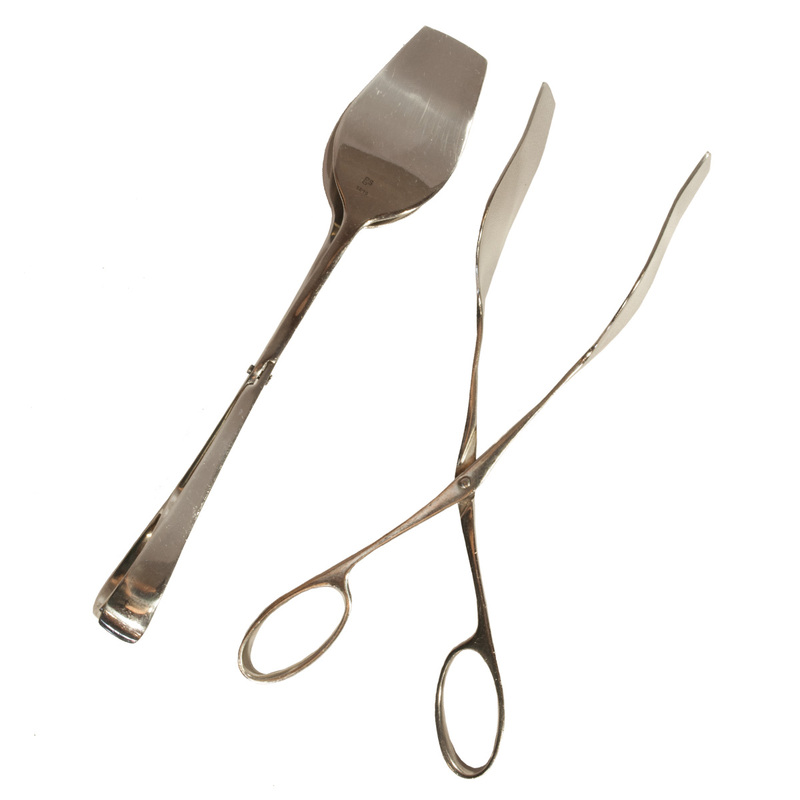 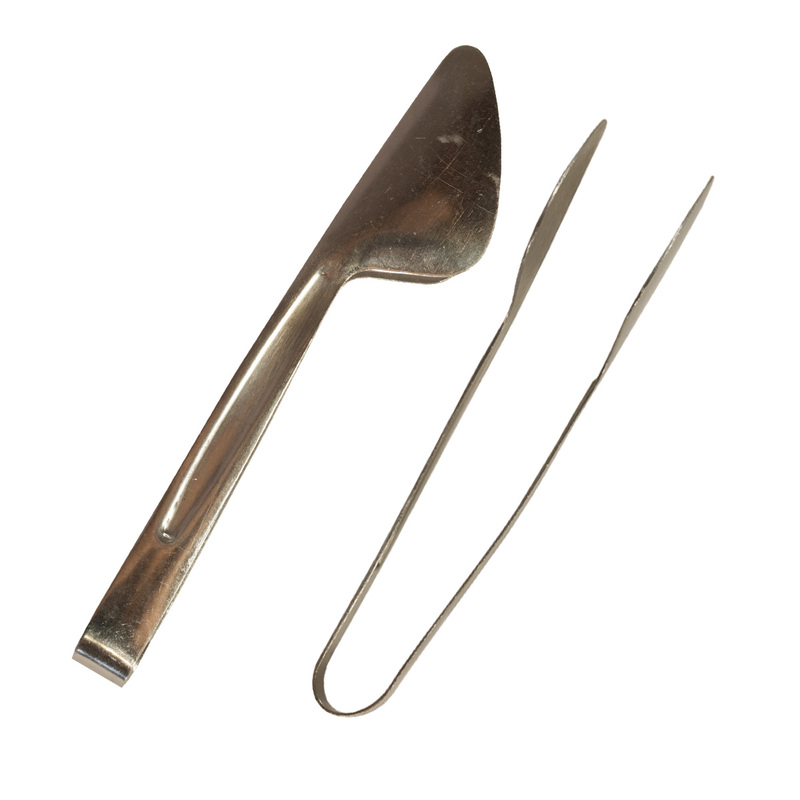 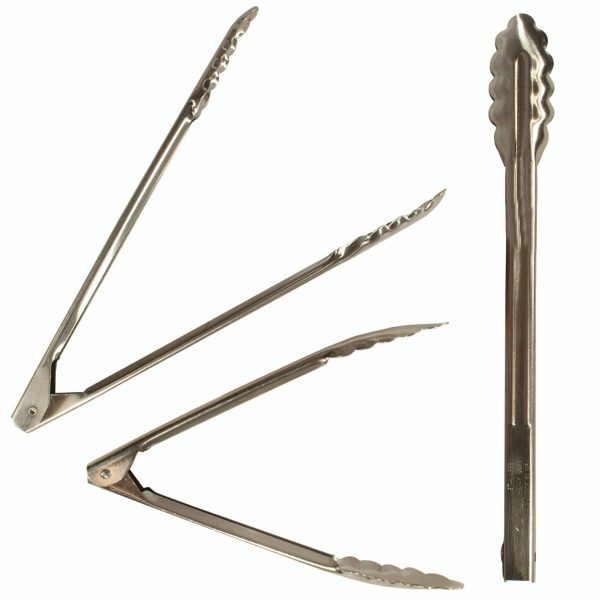 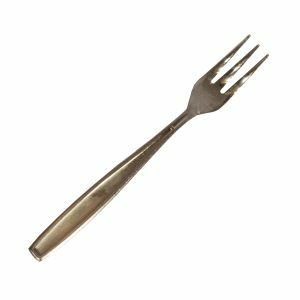 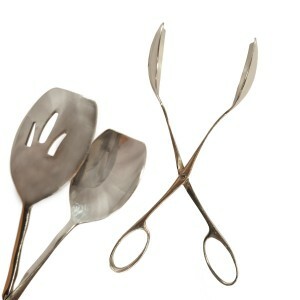 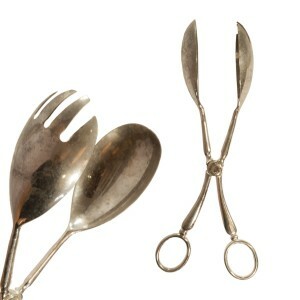 All-purpose tongs available in small, medium, or large. 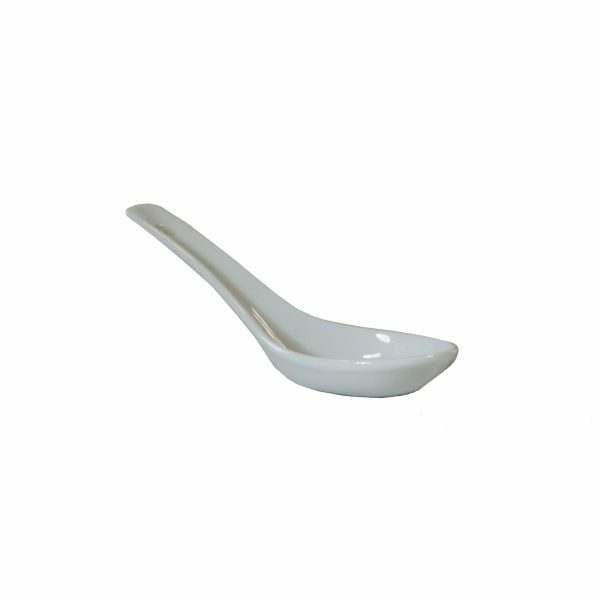 White ceramic Chinese soup spoon. 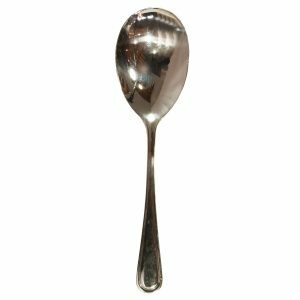 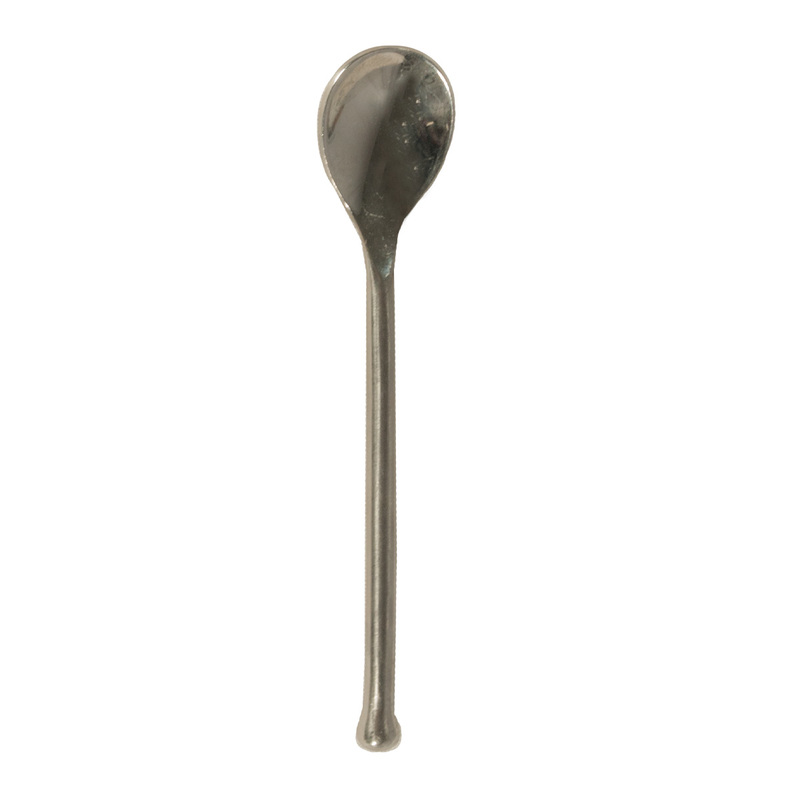 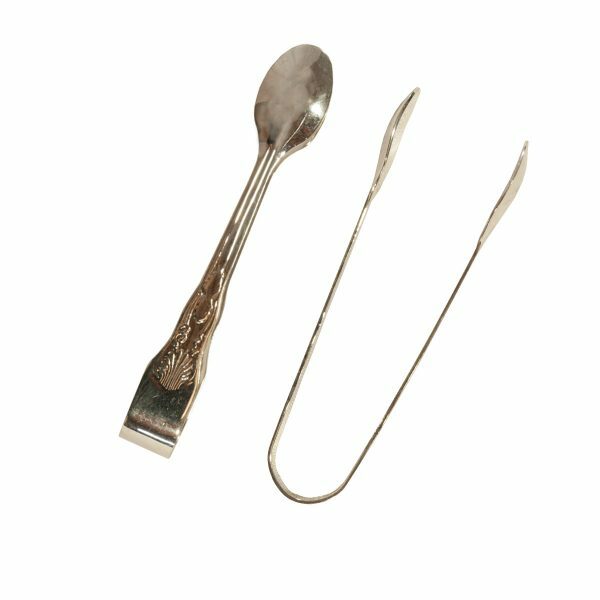 Stainless spoon with brushed handle. 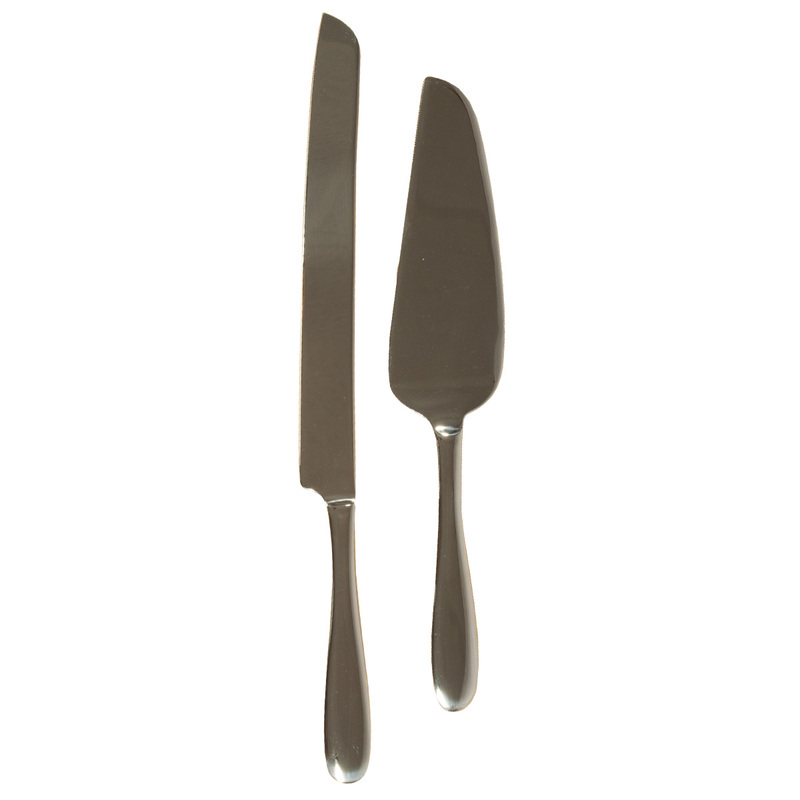 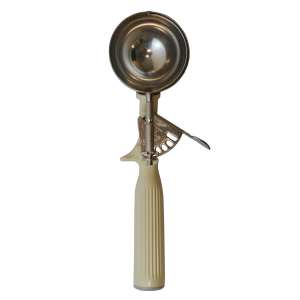 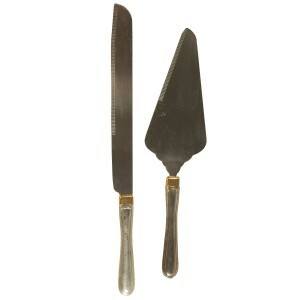 Stainless pie server with wooden handle. 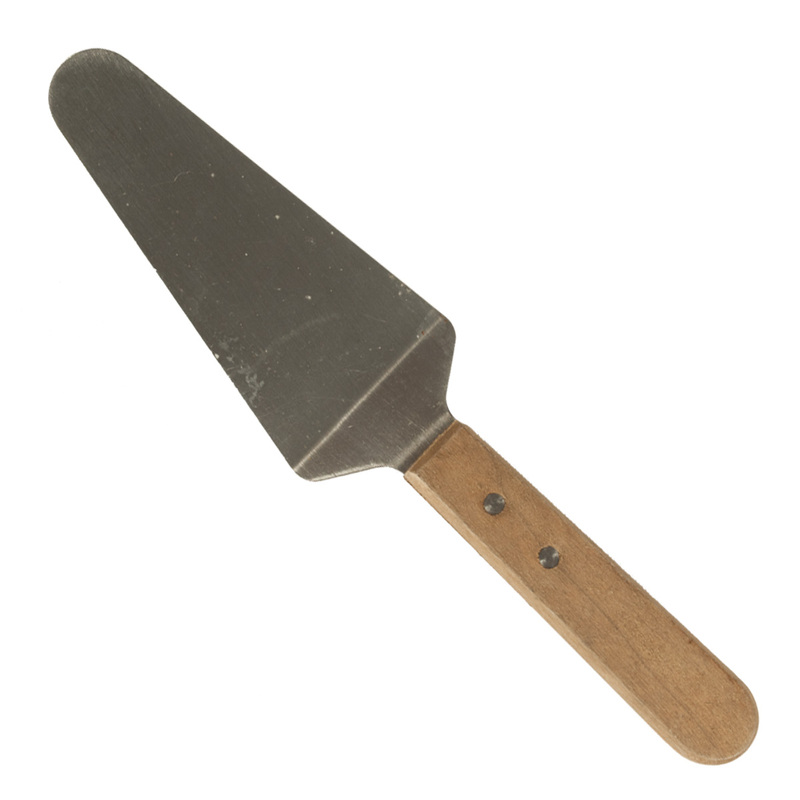 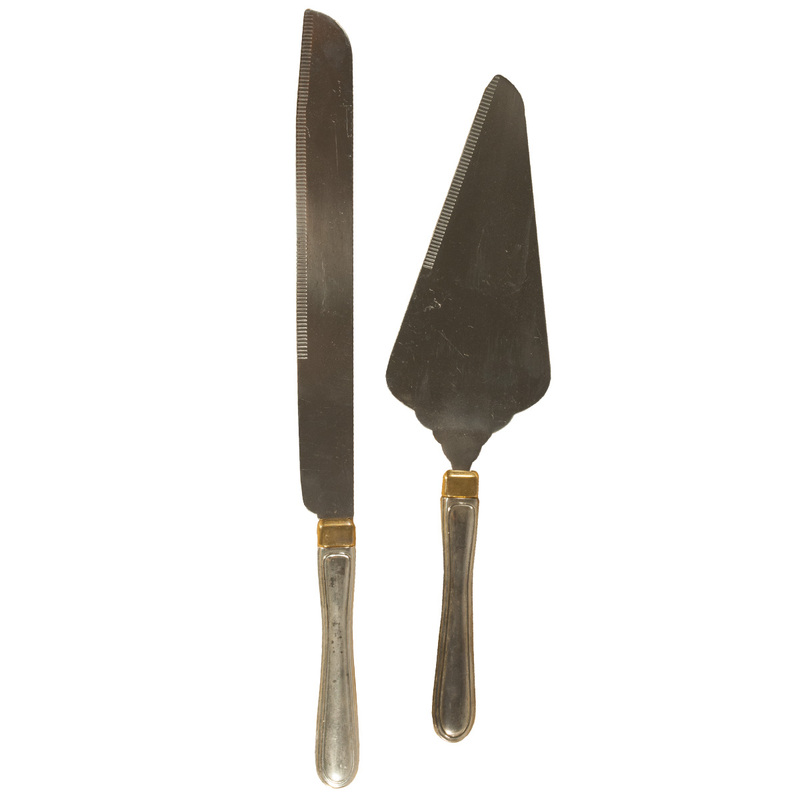 Silver cake knife with gold detail. 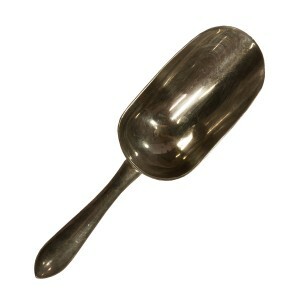 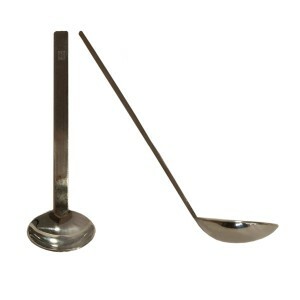 Silver cake server with gold detail. 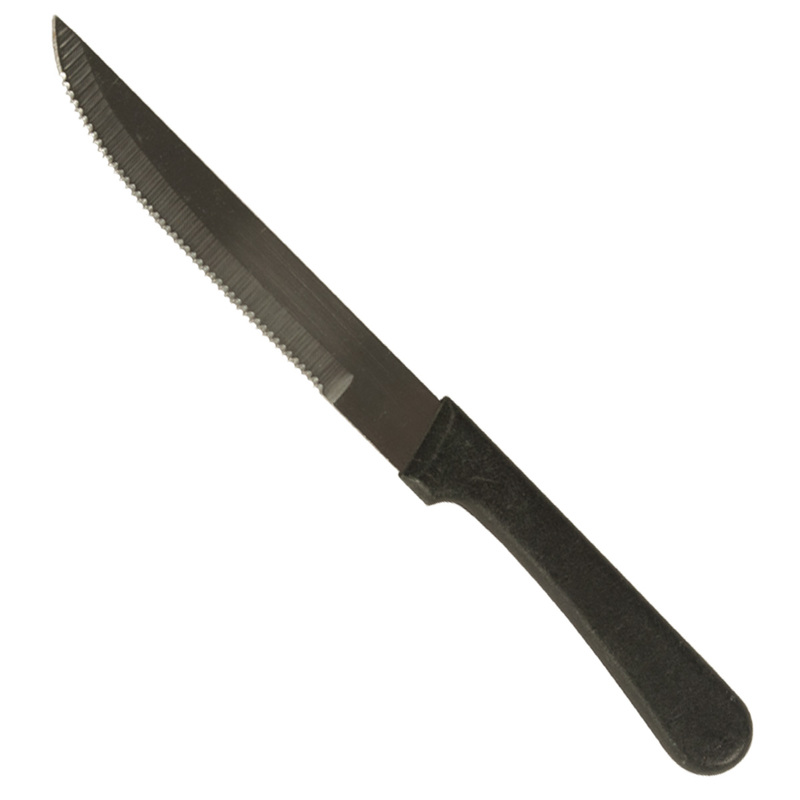 Metal blade with black plastic handle. Sugar tongs with ornate detail.